Conveniently located in downtown Mauston, McKinney's Home Decorating has been providing quality home interior design products and services to both the local area and the State of Wisconsin since 1950. We take pride in offering a large selection of products for your interior design project as well as providing installation services 7 days a week, an award-winning interior designer and a price match guarantee. Our free in-home counsultations provide a convenient way for us to suggest the best possible custom fit design solutions for your project. We look forward to many more decades of service to the communities we serve. MckinneysHomeDecorating.com is providing Visitor or Member with a community forum website. Visitor or Member must provide (1) all equipment necessary for their own Internet connection, including computer and modem and (2) provide for Visitor's or Member's access to the Internet, and (3) pay any fees relate with such connection. The site is provided by MckinneysHomeDecorating.com on an "as is" and on an "as available" basis. To the fullest extent permitted by applicable law, MckinneysHomeDecorating.com, its parents, subsidiaries, affiliates, management and owner(s) makes no representations or warranties of any kind, express or implied, regarding the use or the results of this web site in terms of its correctness, accuracy, reliability, or otherwise. MckinneysHomeDecorating.com, its parents, subsidiaries, affiliates, management and owner(s) shall have no liability for any interruptions in the use of this Website. MckinneysHomeDecorating.com, its parents, subsidiaries, affiliates, management and owner(s) disclaims all warranties with regard to the information provided, including the implied warranties of merchantability and fitness for a particular purpose, and non-infringement. Some jurisdictions do not allow the exclusion of implied warranties, therefore the above-referenced exclusion is inapplicable. MckinneysHomeDecorating.com, IT’S PARENTS, SUBSIDIARIES, AFFILIATES, MANAGEMENT, AND OWNER(S) SHALL NOT BE LIABLE FOR ANY DAMAGES WHATSOEVER, AND IN PARTICULAR MckinneysHomeDecorating.com, IT’S PARENTS, SUBSIDIARIES, AFFILIATES, MANAGEMENT, AND OWNER(S) SHALL NOT BE LIABLE FOR ANY SPECIAL, INDIRECT, CONSEQUENTIAL, OR INCIDENTAL DAMAGES, OR DAMAGES FOR LOST PROFITS, LOSS OF REVENUE, OR LOSS OF USE, ARISING OUT OF OR RELATED TO THIS WEB SITE OR THE INFORMATION CONTAINED IN IT, WHETHER SUCH DAMAGES ARISE IN CONTRACT, NEGLIGENCE, TORT, UNDER STATUE, IN EQUITY, AT LAW, OR OTHERWISE, EVEN IF MckinneysHomeDecorating.com, IT’S PARENTS, SUBSIDIARIES, AFFILIATES, MANAGEMENT, AND OWNER(S) HAVE BEEN ADVISED OF THE POSSIBILITY OF SUCH DAMAGES. 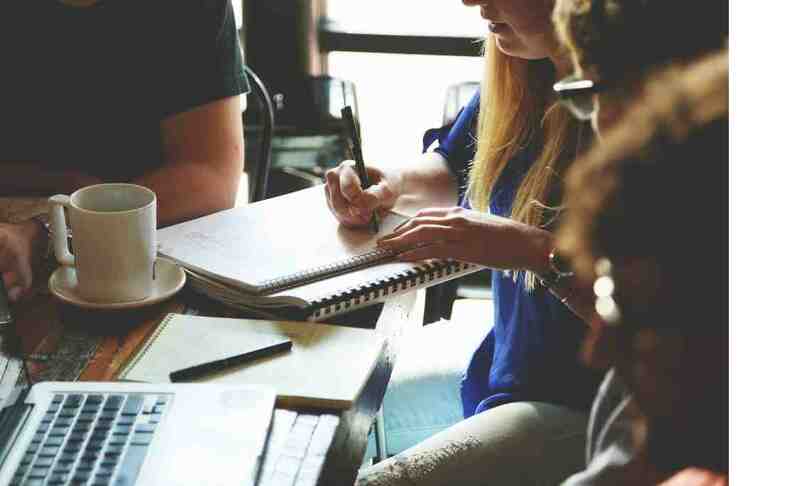 SOME JURISDICTIONS DO NOT ALLOW FOR THE LIMITATION OR EXCLUSION OF LIABILITY FOR INCIDENTAL OR CONSEQUENTIAL DAMAGES, THEREFORE SOME OF THE ABOVE LIMITATIONS IS INAPPLICABLE. Visitor and Member agrees to indemnify and hold MckinneysHomeDecorating.com, its parents, subsidiaries, affiliates, management and owner(s), harmless from any claim or demand, including reasonable attorneys' fees and costs, made by any third party due to or arising out of Visitor's or Member's use of the Service, the violation of this Agreement, or infringement by Visitor or Member, or other user of the Service using Visitor's or Member's computer, of any intellectual property or any other right of any person or entity. MckinneysHomeDecorating.com reserves the right to modify or discontinue the Service with or without notice to the Visitor or Member. MckinneysHomeDecorating.com, its parents, subsidiaries, affiliates, management and owner(s) shall not be liable to Visitor or Member or any third party should MckinneysHomeDecorating.com exercise its right to modify or discontinue the Service. Visitor or Member acknowledges and accepts that MckinneysHomeDecorating.com does not guarantee continuous, uninterrupted or secure access to our website and operation of our website may be interfered with or adversely affected by numerous factors or circumstances outside of our control. Product specifications and other information have either been provided by the Vendors or collected from publicly available sources. While MckinneysHomeDecorating.com makes every effort to ensure that the information on this website is accurate, we can make no representations or warranties as to the accuracy or reliability of any information provided on this website. MckinneysHomeDecorating.com makes no warranties or representations whatsoever with regard to any product provided or offered by any Vendor, and you acknowledge that any reliance on representations and warranties provided by any Vendor shall be at your own risk. Visitors and Members agree that they will not use any robot, spider, or other automatic device, or manual process to monitor or copy our web pages or the content contained therein without prior written permission of MckinneysHomeDecorating.com. All other trademarks displayed on MckinneysHomeDecorating.com's website are the trademarks of their respective owners, and constitute neither an endorsement nor a recommendation of those Vendors. In addition, such use of trademarks or links to the web sites of Vendors is not intended to imply, directly or indirectly, that those Vendors endorse or have any affiliation with MckinneysHomeDecorating.com, its parents, subsidiaries, affiliates, management and owner(s). This work used by permission and is Copyright © 2017 MckinneysHomeDecorating.com under a "Creative Commons Attribution-NonCommercial-NoDerivs 3.0 Unported License"
Pursuant to Section 512(c) of the Copyright Revision Act, as enacted through the Digital Millennium Copyright Act, MckinneysHomeDecorating.com designates the following individual as its agent for receipt of notifications of claimed copyright infringement. MckinneysHomeDecorating.com retains the right, at our sole discretion, to terminate any accounts involved with botnets and related activities. If any hostnames are used as command and control points for botnets, MckinneysHomeDecorating.com reserves the right to direct the involved hostnames to a honeypot, loopback address, logging facility, or any other destination at our discretion. The views expressed on this website are / were not reviewed by MckinneysHomeDecorating.com. MckinneysHomeDecorating.com does NOT vouch for or warrant the accuracy, completeness or usefulness of any posting or the qualifications of any person responding. Use of the Forums is subject to our Terms and Conditions which prohibit or limit advertisements, solicitations or other commercial messages, or false, defamatory, abusive, vulgar, or harassing messages or images. Information on MckinneysHomeDecorating.com or a Forum should not be relied upon. In the case of legal advice from this site, it is not a substitute for advice from an attorney licensed in your jurisdiction who you have retained to represent you. It is prohibited to post username and password combinations, telephone numbers, addresses, full name, last name, or other personal information about other people without their expressed permission. If you need to share your own personal information for any reason, you may, but will hold MckinneysHomeDecorating.com, its parents, subsidiaries, affiliates, management and owner(s) harmless if your privacy is in any way violated as a result. It is prohibited to copy and paste or plagiarize any copyrighted works anywhere on this website. EVEN IF proper credit and sourcing is done. This includes but is not limited to articles, news bits, literature, etc. If you wish to make reference to a link elsewhere, you may do so as long as the site you are linking to has not violated any copyright laws. If any party holding a copyright wishes to post their material(s) on MckinneysHomeDecorating.com, please contact the site administrator or webmaster. You agree that MckinneysHomeDecorating.com, it's owner(s) and management shall be held harmless concerning any problems of any kind concerning ANYTHING bought or sold or not bought or sold between members or non-members, so proceed at your own risk, and handle this on your own, because you are indeed on you own in this area. You also agree that MckinneysHomeDecorating.com, its parents, subsidiaries, affiliates, management and owner(s) shall be held harmless for all the content and media contained on this website. You are prohibited from false advertising or advertising "get rich quick" schemes on this site with the intent to commit a crime. You also bear all responsibility of all the content you post whether it be text, video, image or audio. All visitors and Members in the broadest sense are hereby warned to utilize this site at your own risk. Member and / or IP banning: The Management staff of MckinneysHomeDecorating.com reserves the sole right to ban the IP and/or user accounts of any member at any time, and for any reason deemed necessary based on or not based on this policy as this policy is actually presented. We further reserve the right to edit, delete, copy, move, add to, and otherwise alter all contents contained in MckinneysHomeDecorating.com, for any reason deemed necessary based on or not based on this policy as this policy is actually presented, including but not limited to post contents, PM's, emails, IM's, avatars, signature contents, and member data, whether private or public. 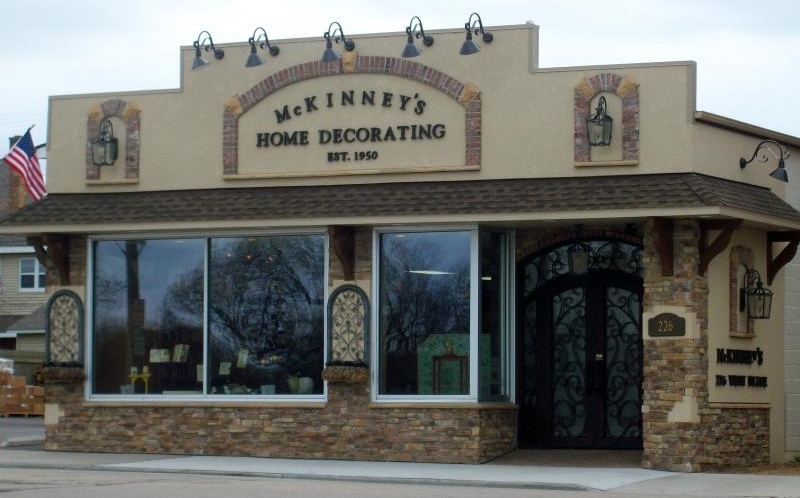 In the past five years, McKinney's Home Decorating has completed several interior and exterior upgrades that now offer our customers a relaxing and professional atmosphere to work with our staff when making product selections. Upgrades have included new flooring, paint, roof, stucco and brick exterior additions. Please come visit our newly remodeled business today!